Mom's Gone Bronson! : Well Beginnings Baby Goodies Review with Moms Meet and Walgreens! Well Beginnings Baby Goodies Review with Moms Meet and Walgreens! Disclaimer: I received products for free in order to review them. I was not otherwise monetarily compensated and all views/opinions are my own and yours may differ. Thank you! Well Beginnings Baby Care at Walgreens! I got the chance to try out some items from the Well Beginnings range, EXCLUSIVE TO WALGREENS, via Mom's Meet, for FREE this past week, which included diapers, baby bath, wipes and oral elecrolyte, which can all be found HERE on the Walgreens website! Well Beginnings is a product designed to promote a healthy, well start for baby at a great price and with no loss of quality or value! 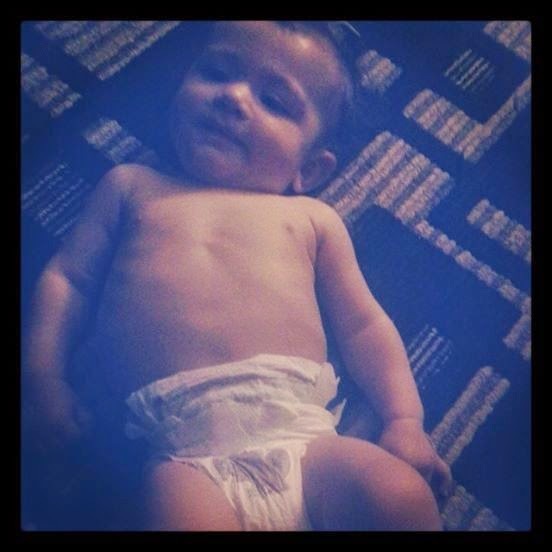 To test out the the quaity and durability for myself, I put my almost 1yr old son in the Well Beginnings diapers (31 pack of size 4 but available from Newborn to a size 6) for a week and found that they really stood the test of a baby who is crawling, cruising and pulling at just about everything - including the diaper! There were no rips, tears, sagging or diaper rash on my son through the week, which totals a great experience in my opinion! Some other diapers will have him break out in a diaper rash almost immediately and so the fact that he wore these with absolutely no probems really stands them in good stead! The baby wash was great for all the family - I am happy to use something a little gentler on myself over soaps and so I gave this a try as well as washing my 2 youngest children with it and I liked it a lot. It wasn't overpowering or super-bubbly, which is great and there were no adverse reactions to it, just nice, soft, clean skin! The products claims a no-tears formula and I certainly didn't see any reaction to it and so I would have to agree that for us there were no tears, just happy faces! This product is perfect for an all over body-wash and to cleanse the hair and so it is great value for $2.99 and gets the entire job done! The baby wipes were the real challenge, I have never had too much luck with wipes being too thin or not able to clean properly if they didn't cost as much as the leading brands, but I was impressed with these! They cleaned well and didn't take a whole pack to do the job, they came out of the pack easily and they seemed to have just the right amount of moisture without offering a drippy mess! The baby wipes are made up of what Walgreens calls Tri-Form, which is a 3-layered fabric design with 2 soft, quilty-like layers on the outsie and a thick, durable layer on the inside to prevent tearing. A 72 count of wipes retails for $2.39 and is, in my opinion, again, great value for the money! 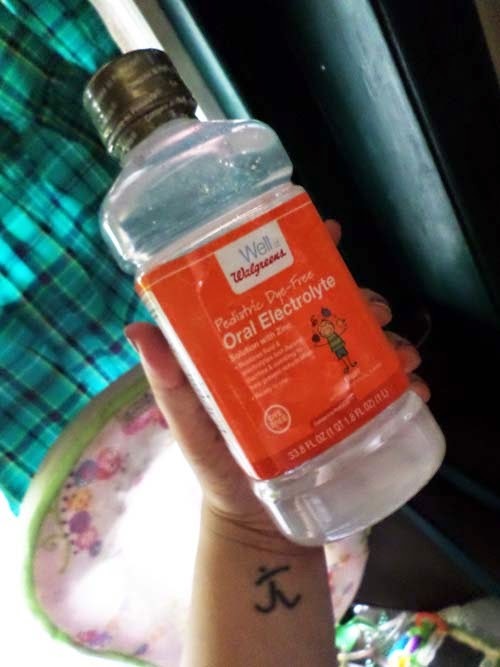 The Oral Electrolyte we haven't gotten a chance to use yet as there has been no real reason to give this to my children and I prefer to use this kind of product when necessary and so, while it looks good, I can't personally offer an opinion on it at this time, but I will certainly update if we get a chance to use it. All in all, from the few products I did get to try out, I was pleasantly surprised that the Well Beginnings offerings from Wagreens offered up a comparable-to-leading-brands experience in my opinion and I have tried just about every brand there are out there and even some of the bigger brands have disappointed me so I am all for it when I find a product I like such as Well Beginnings, which I really do appreciate and would pick up in store when and if I needed them, for sure! 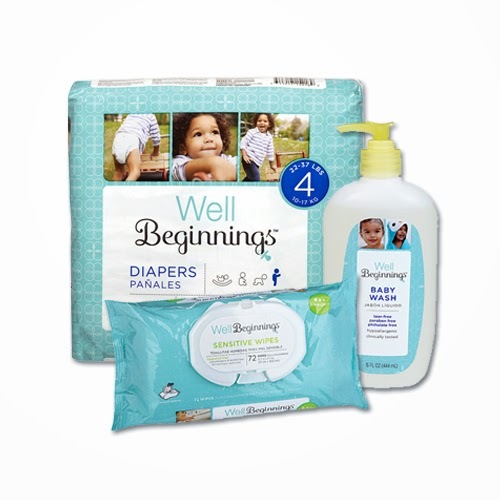 There is so much more offered in the Well Beginnings range, so why not head on over to Walgreens and check them out, today! ?